At last – Spring is springing! This year has seen a truly miserable run of weather since the New Year. Cold, miserable, grey and far too much late snow. I've just got back from a week in Wales with the family, which turned out to be pretty much a photographic bust: still icy cold with howling gales when we got there, which turned into rain and low cloud. Never mind, a relaxing time with a nice log fire anyhow. Coming back to the South-East of England, though, has been a revelation. Yesterday hit nearly 20°C with gorgeous light towards the end of the day. 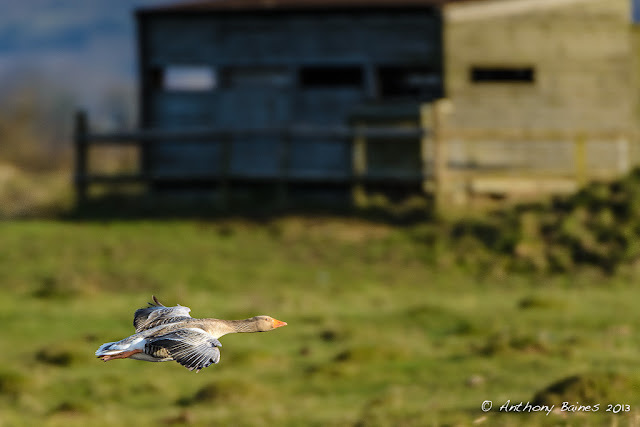 I could not resist taking the opportunity to get out with the camera, so late afternoon I headed off to Oare Marshes with the hope of seeing some interesting birdlife in the reserve there. There was plenty to see, but one thing that really cheered me up was the sight of a family of greylag geese, with the newborn goslings like bundles of fluff. 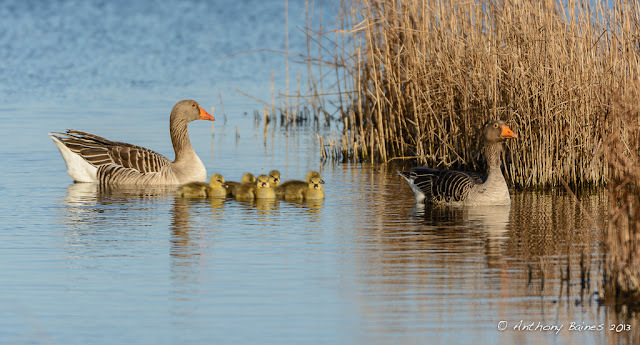 Mum and dad kept a watchful eye on them as they pecked at the grass, and went for a gentle swim. 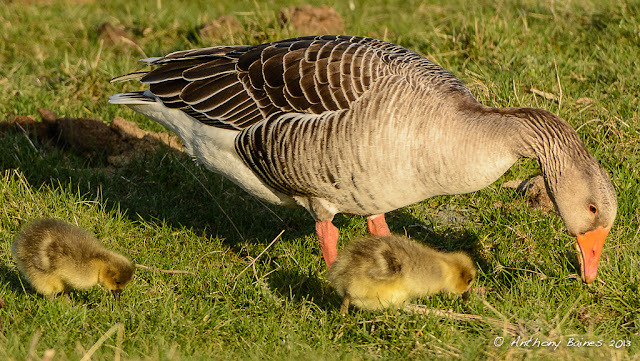 Even though the RSPB describe greylags as "uninspiring", the sight of new life in warm evening sunshine was truly uplifting.